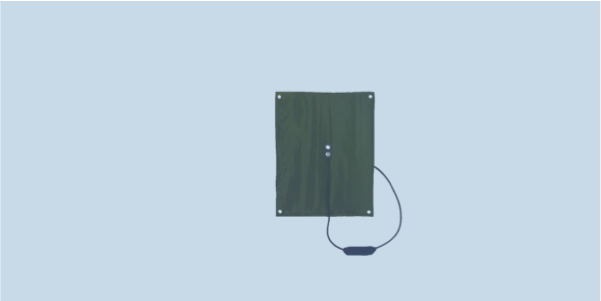 DIPL-A0057 is a wideband body worn antenna for monitoring in the full VHF/UHF band. Covert and lightweight, it is rugged and flexible for use with clothing. DIPL-A0057 is intended for spectrum monitoring in the VHF/UHF band from 20 MHz to 3 GHz. A press-stud feed system is used for quick cable detachment. For improved low frequency operation a low frequency cable feed option (-01) exists. The antenna only weighs 7 ounces.